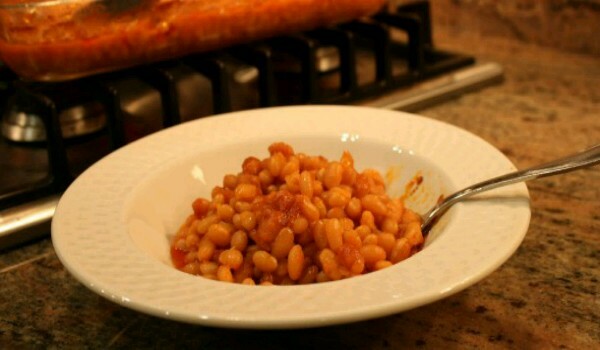 Portuguese Baked Beans is a very popular recipe. Learn how to make/prepare Portuguese Baked Beans by following this simple & easy recipe. Take enough water in a bowl and soak the beans overnight. Marinate the Chourico pieces in wine overnight. Rinse the beans and place them in a non-reactive pan. Add the Chourico and onion and cover with water. Bake at 350 degrees F until they are cooked well. Remove from the oven and stir in tomato sauce as per your requirement. Keep it back in the oven and bake until all the liquid has been absorbed.